On February 1, 2017, the State enacted N.J.S.A. This is probably the most commonly asked question during a consultation. 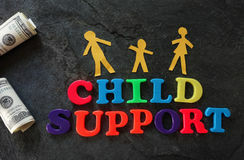 This blog is intended to provide a very basic overview of the calculation of child support in New Jersey. Bear in mind that like many other areas of family law, there are deviations, exceptions, and unusual cases that extend beyond this article. Read more about How is Child Support Calculated?